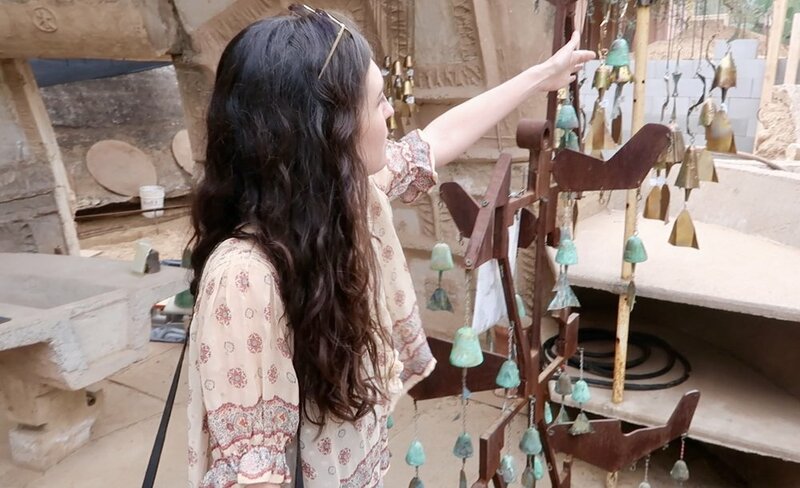 This was my second visit to Cosanti located in Paradise Valley, Arizona. 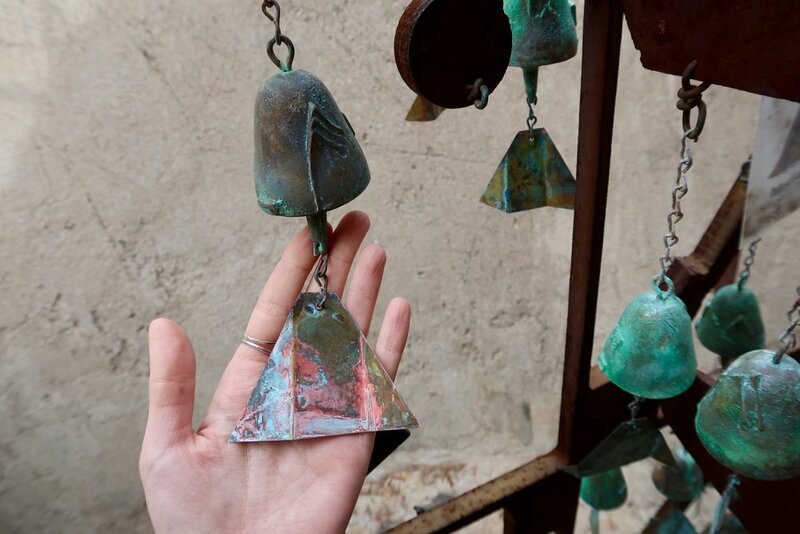 Forever inspired by the art and handmade process of these bells, the architecture of this structure and the vision and mission of Paolo Soleri. If you’re ever passing through Scottsdale it’s worth a visit. Last week was a very powerful new moon. Usually on new moons I stay to myself, journal and write out my intentions for the month but on this new moon I was called to a ceremony to share my intentions in a group. I’ve never been to a therapy session before but I feel attending rituals and sacred spaces like this is my therapy. I need to be seeking these places more often. For me it’s a place I can go with no judgement or insecurities holding me back from being my true self. 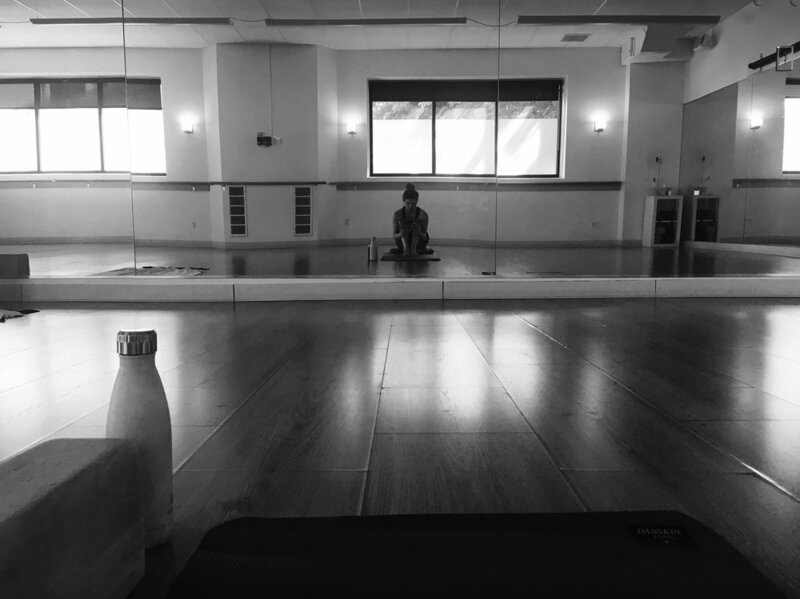 In this space I feel grounded and connected with like minded souls where I can speak my truth via chanting mantras, singing, meditation, prayer, and sharing stories, etc. and feel my vibration instantly rise. Sometimes even pushing me outside my comfort zone. When doing this I have always found I learn something new about myself or pick up on a new perspective. When I leave this space I feel fulfilled, clear headed, and reconnected to all that I am. I have always been very spiritual being. I would say it wasn’t until 2013 when I really began my spiritual journey that is when I attended my first reiki session. That was my first time I felt the energy of crystals and spiritual healing. I’m still learning so much along the way about my spirituality as this journey unfolds. People always ask what my religious beliefs are and my only answer is I am constantly evolving and changing. I don’t think I need to be confined in one set belief system. I feel like a lot of that has to do with the Sagittarius in me. I love nothing more than immersing myself in different belief systems, religions, cultures that challenge my current ways of thinking. At a deeper level, the sign of Sagittarius is connected with the nature of belief. Part of the journey toward greater levels of experience also involves broadening the mind. By comparing and contrasting different ideas, philosophies, belief systems or cultures, Sagittarians gain new arenas in which to roam. I have always trusted my intuition first before anything. I do know what feels right and what feels wrong, and I always go with that as the answer. I feel like even knowing that I will still forever seek answers about spirituality I might never find. I guess that is what makes life beautiful and exciting. I only know the feeling of what I believe makes a space sacred and for me it’s a place I go to feel connected, one that feels like home, a safe place. One of my intentions I set on this new moon is to share more of my personal story. So I guess that’s what brought me here to write this post. I’ve always been an open book but at the same time I am very private with things that are personal to me. Its been a struggle of mine to fully let down my guard and let people in my personal space and heart. When I get in these “safe spaces” I don’t have any guards up. So I’d like to make this more of my safe space, a place that I can share and connect with others without judgement. You will see more blogs and vlogs from me in this upcoming year that share more about the personal things I enjoy and the journey behind the jewels. I have no idea what this upcoming month will bring but I feel a lot of change and high energy coming from this harvest moon. I’m looking forward to it all! 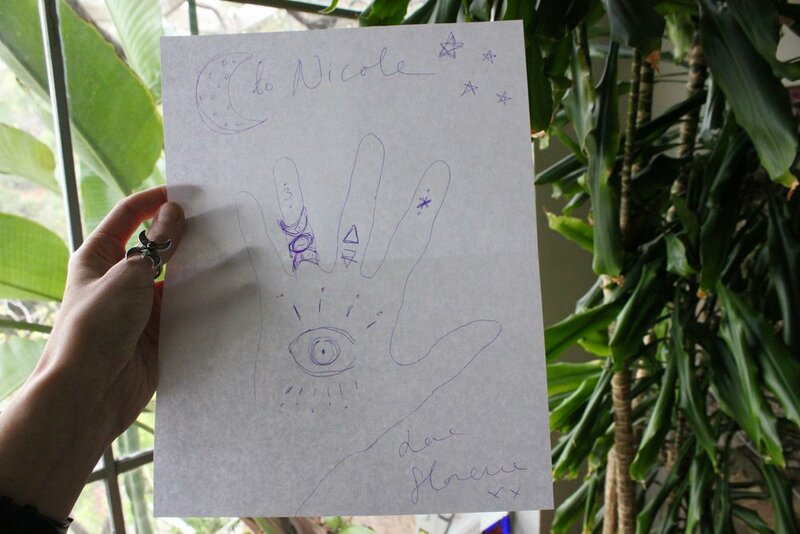 Thank you Ceremony Healing for sharing this beautiful sacred space and hosting the new moon rose bath ceremony. It was exactly what I needed. 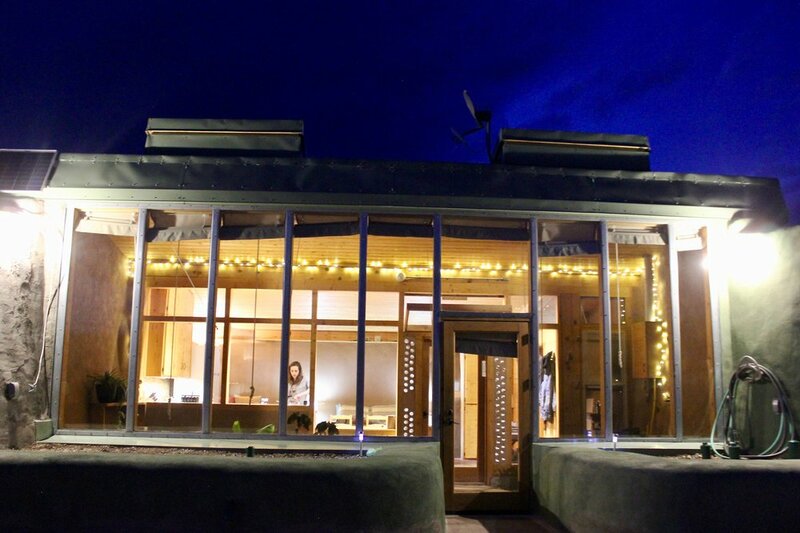 A month ago when I was booking an Airbnb for Taos, I came across the earthship tiny house. I had never heard of "earthships" before and had no idea the head quarters of earthship biotecture is located in Taos, New Mexico. So glad this adventure crossed our path and we were able to stay and experience life in this inspiring community. 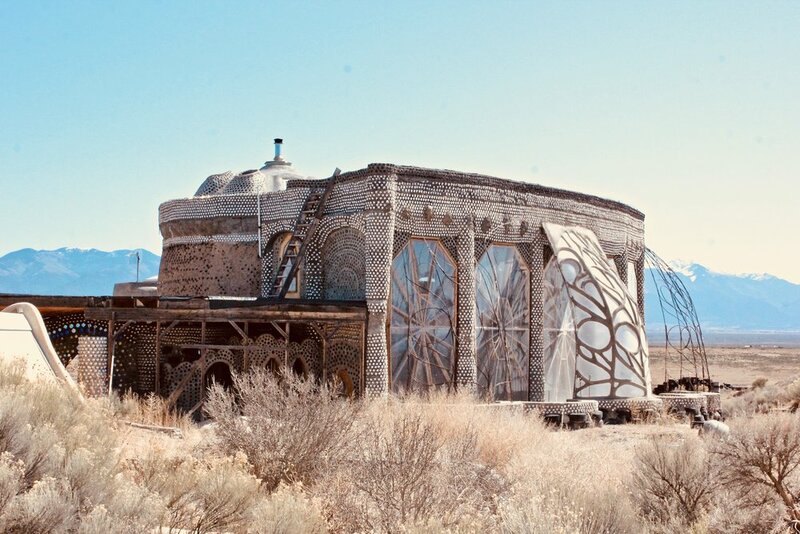 For those of you who hadn't heard of them either, earthships are self-sustaining homes made from natural and recycled materials, pioneered by architect Michael Reynolds. Check out this documentary I found on youtube to learn more. 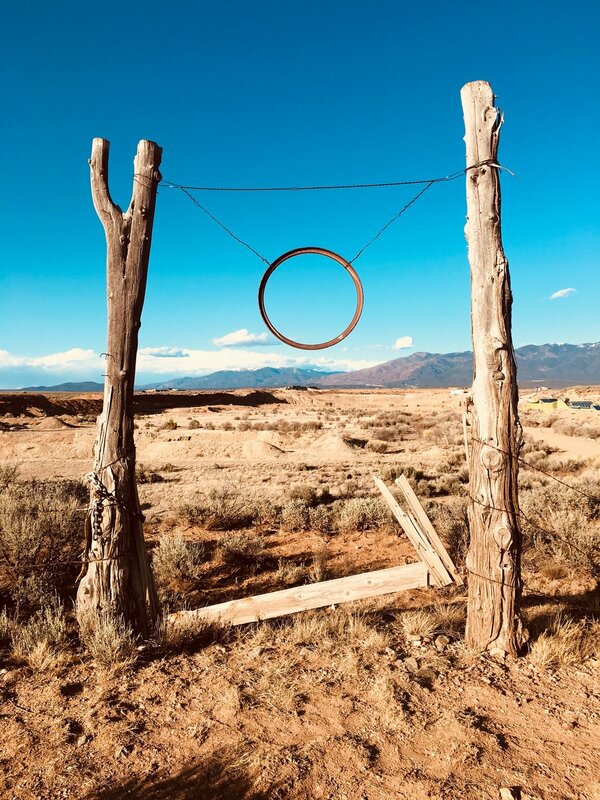 They even have an academy at their head quarters in Taos that teaches you how to make your own earthship. These communities seem to be popping up more and more all over the world. I seriously can't stop thinking about how rad it would be to live in one. We enjoyed our two night stay very much. We even brought our own food and cooked in one of the nights. 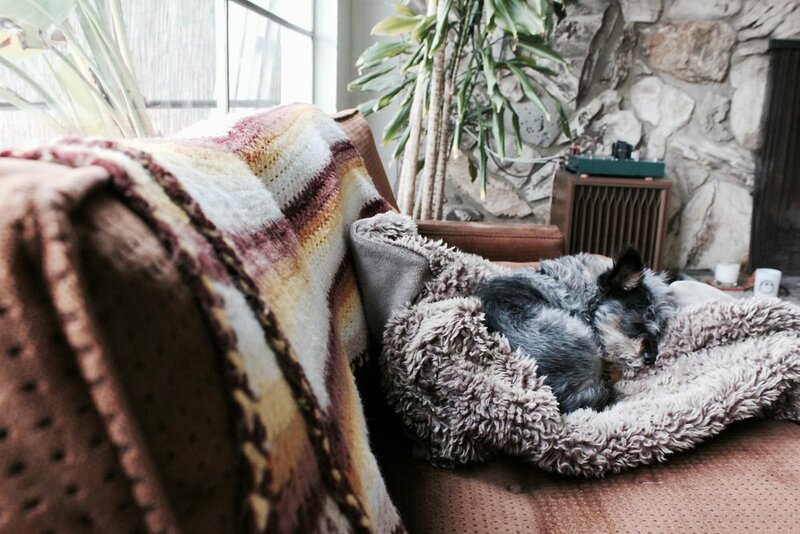 Cooked, showered, and lived just like in any home. Except the coolest part is everything is self sufficient - . 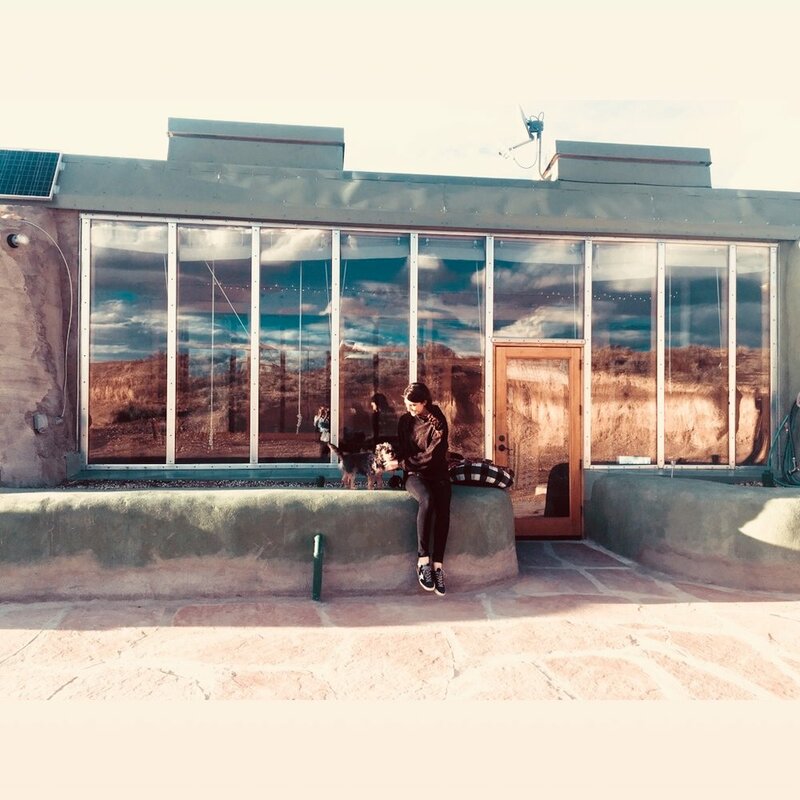 Thank you tiny house Earthship for sharing the experience with us! You might remember my college bestie Erika from past blogs adventures in Denver, Zion, and Sedona! This year our trip was a lil more spontaneous which I say always make for the best adventures. 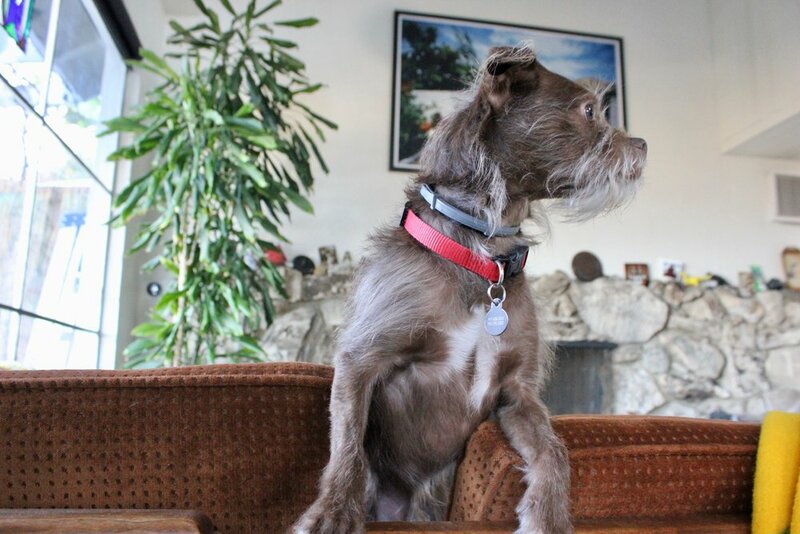 Last year when she visited we explored Denver and Boulder, this year we took it to the road. 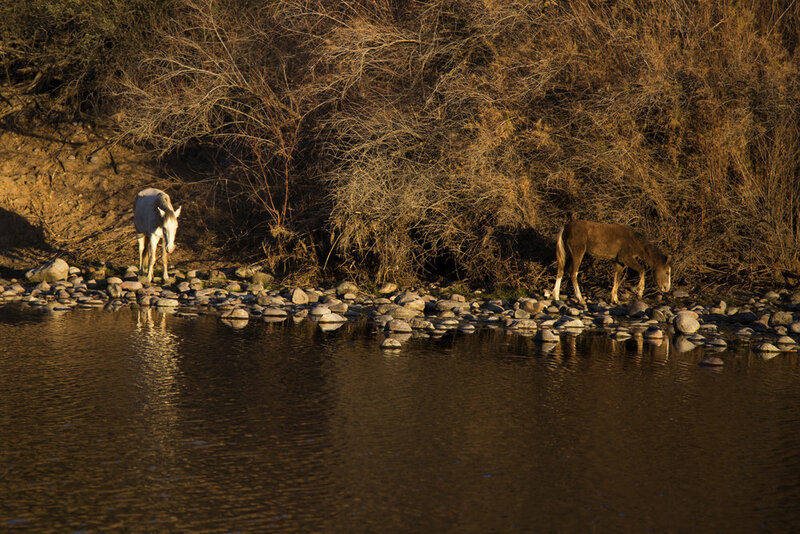 Taos is one that has been on my list I had never been and New Mexico was a new state for her. 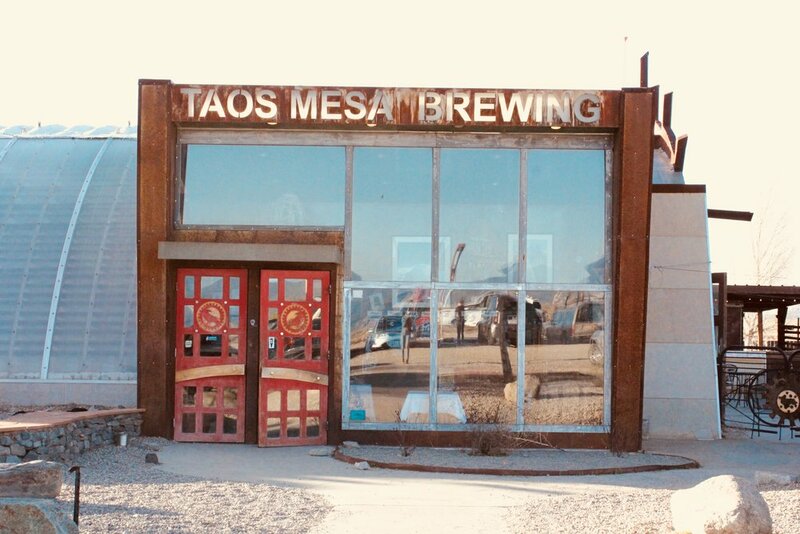 We drove in to Taos on a Saturday, it's about a 4 1/2 hour drive from Denver which went by so fast! Of course Roman the pup came along for the adventure. 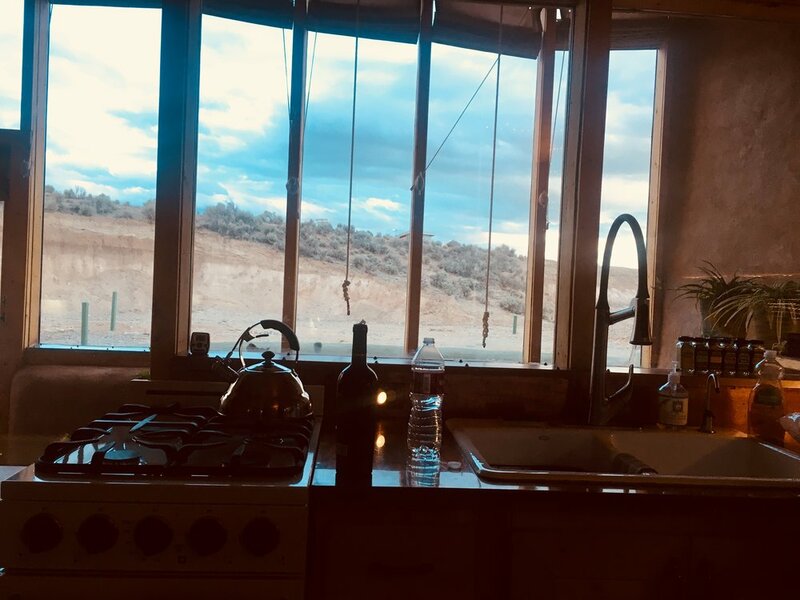 We stayed right outside Taos in the community of Earthships, which was such an inspiring experience - post to follow. We got in later that day so we came prepared to cook dinner in that night in our mother ship. 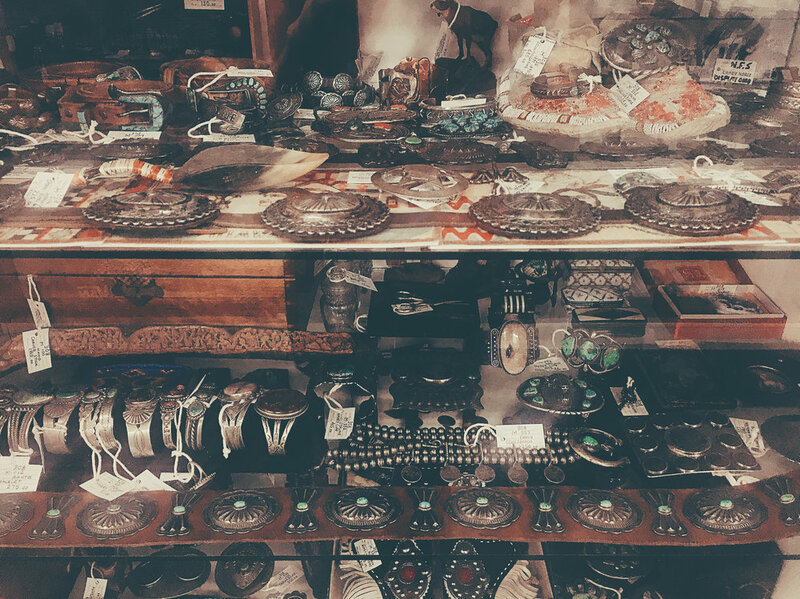 On Sunday we took the road trip down to Santa Fe for the day. I had been a few summers ago with my family but it had been awhile. It was so nice to get back for a visit. That town is so beautiful with all the old buildings, streets, art, galleries, culture, churches, and turquise! I feel like it has got to be one of the cleaniest capital cities in the states. 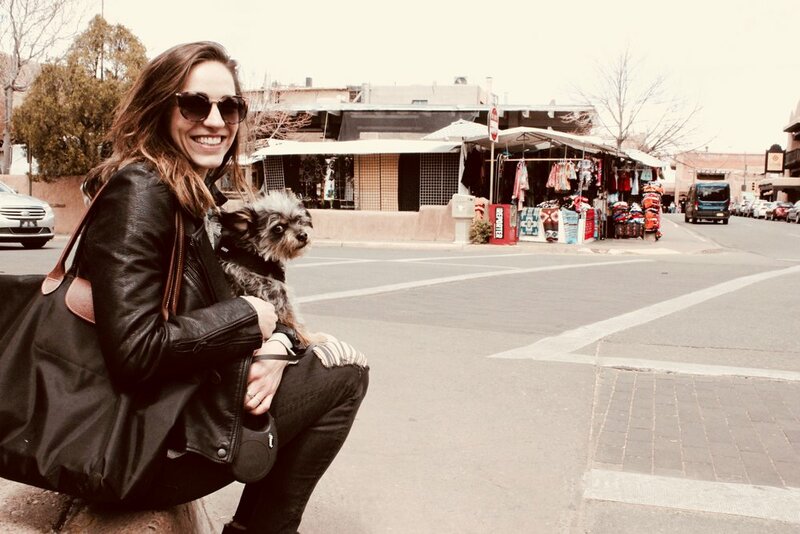 I knew my around pretty good so we made our rounds to some of Sante Fe's best in a day including tacos at Tia Sophia's, the miraculous staircase at loretto chapel, Palace of the Governors Native American market, and a few stop in the shops/galleries throughout the city. Roman ended up eating a chili pepper off the ground on the streets and having a sneezing fit so that was a little side track in our adventure. He was okay after some water, love and care. 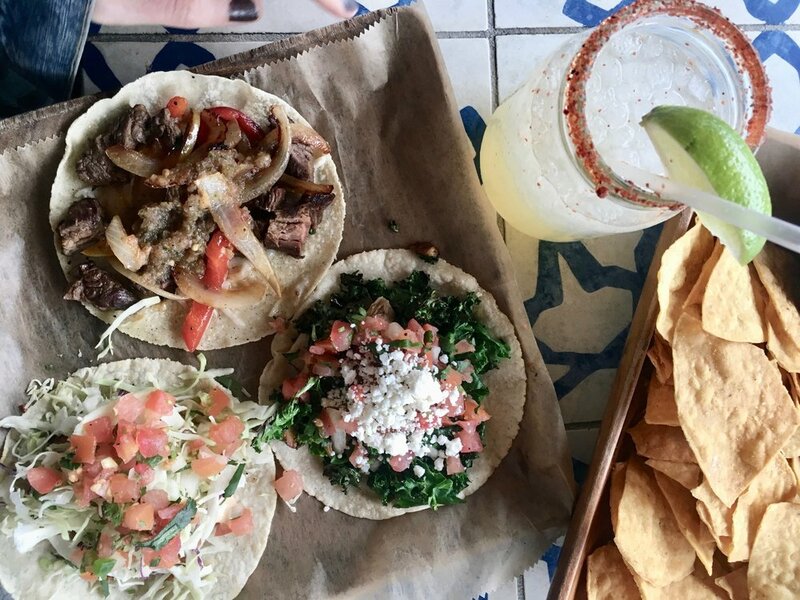 If it's not him getting sick off tacos (like he did last time in Albuquerque) it's chili peppers - adventures in New Mexico with roman (should be it's own post). Next post up will be from our Airbnb experience and exploring the lands of earthships. 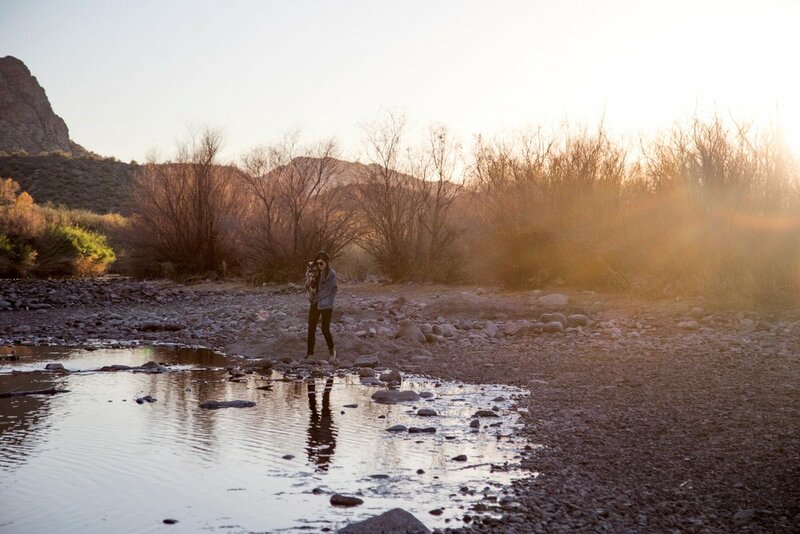 On the way back from Quartzsite I found out my adventure sister Jess (i've collabed and adventured with her lots in past blogs here and here and she's done lots of my photography for the site) was traveling through Arizona in her RV as well. So I hopped in a couple nights with her and her husband down in Phoenix before heading back to Colorado. We did some awesome thrifting and shopping in Scottsdale at places I'd never been and decided to get fancy for cocktails at the W after I ended up scoring this beautiful beaded vintage dress. 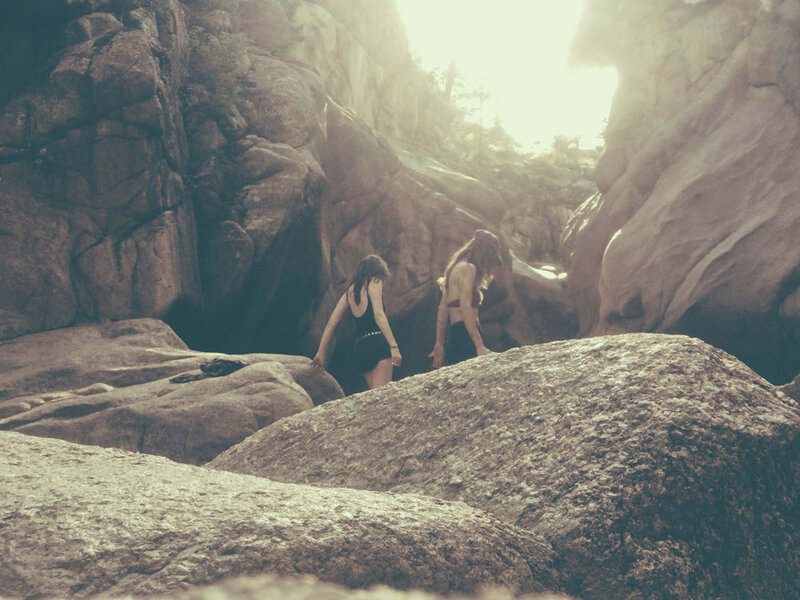 Always the best adventures with @explores_outdoors. 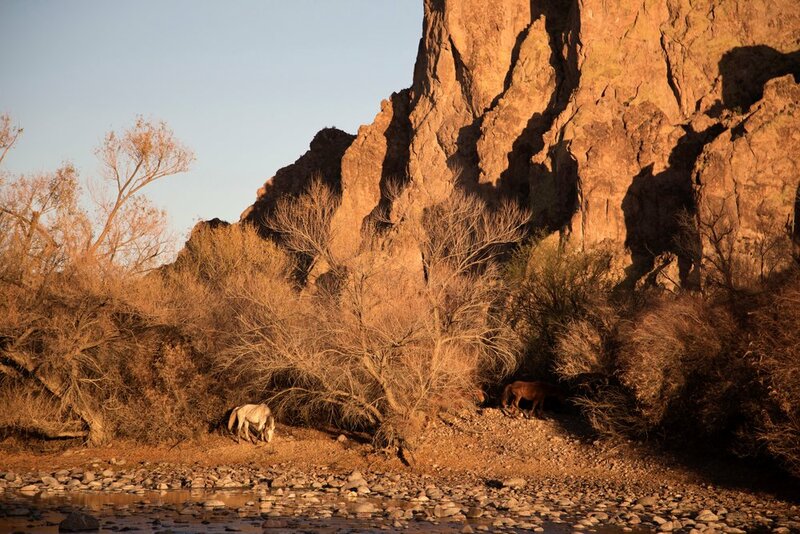 We did document a little from our adventure at the Salt River when we ran in to the wild horses (photo diary up next). 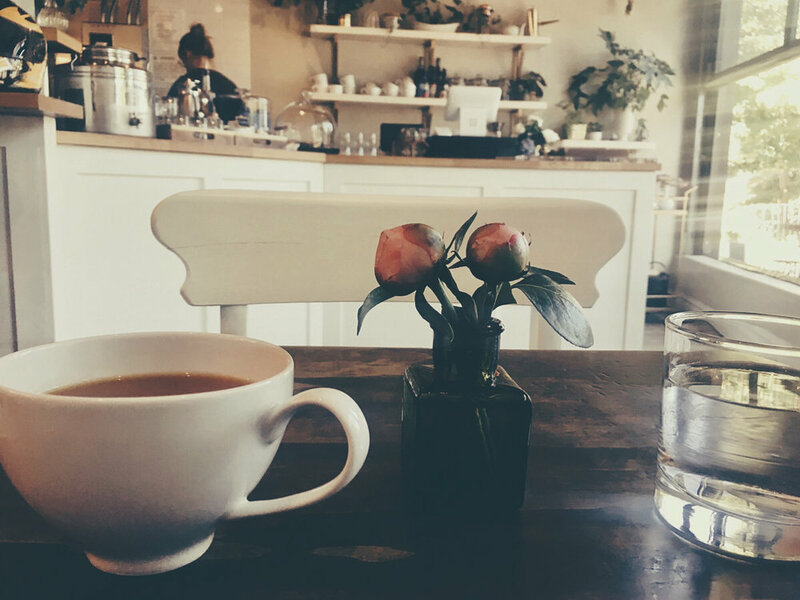 Here's five of my favorites captured on my iphone last month.